Book your next fun-filled adventure at this Howard Johnson Express-Springfield conveniently located off Highway 141 near Six Flags New England. If you enjoy the history of motorcycles, automobiles and aircraft, visit the exhibits at the Lyman and Merrie Wood Museum of Springfield History. Springfield College is two miles away, and University of Massachusetts, Amherst College and Hampshire College are within 20 miles. Walk to several restaurants from this lodging, including Applebees across the street. Start your morning right with a complimentary Rise and Dine continental breakfast, complimentary newspaper and complimentary high-speed Internet access to plan your exciting day. Energize in the fitness center, and enjoy the complimentary large-vehicle parking making it easy to bring the whole family. 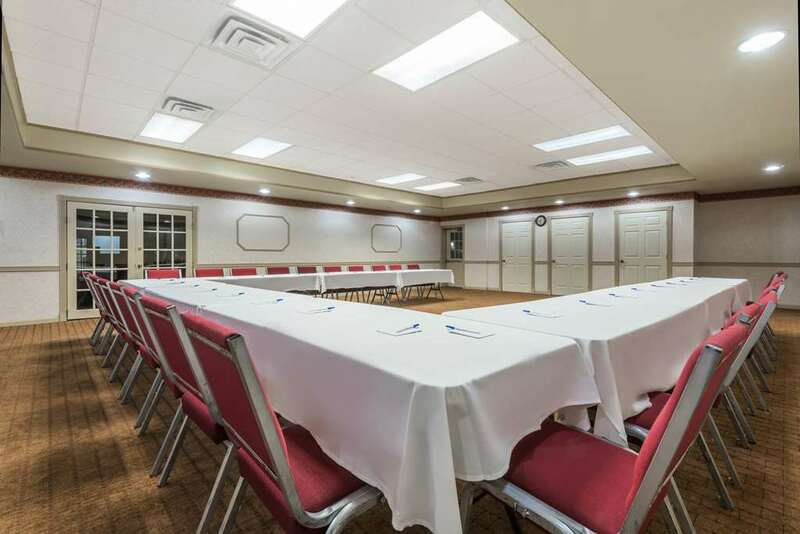 Book your next event in the meeting room and take advantage of the business center. Comfortable guest rooms include microwave and refrigerator. Suites and smoke-free rooms are available.